Ukraine insists on the illegality of the unilateral decision of the Russian Federation to block the Kerch Strait. The Ministry of Foreign Affairs expresses its protest against the Russian Federation's restrictions in navigation through the Kerch Strait during August-September and underlines the illegality of the construction of the Kerch bridge, according to the ministry’s statement. “The Ministry of Foreign Affairs of Ukraine expresses its protest in connection with the Russian Federation's introduction of a ban on navigation through the Kerch Strait during August and September 2017, connected with the construction of the bridge, and once again underscores the unlawfulness of such actions,” reads the statement. 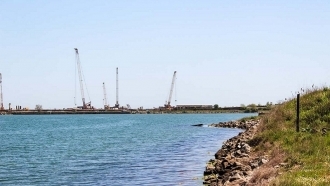 The foreign policy department notes that the construction of the bridge across the Kerch Strait is illegal under international law, because Ukraine, as a coastal state with respect to the Crimean peninsula, did not consent to this construction. The Foreign Ministry is also concerned about the negative impact that construction can cause to the environment and navigation in the strait. 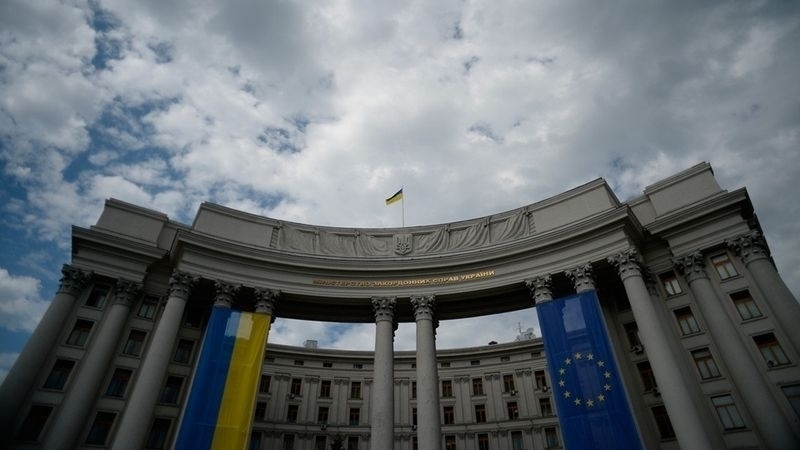 "The Russian Federation's unilateral imposition of restrictions on maritime traffic across the Kerch Strait is another gross disregard of the norms of international law," the ministry believes. The report indicates that the corresponding note of protest was sent to the Russian side. Earlier, QHA reported that the Ministry of Transport of the Russian Federation officially confirmed the introduction of a restricted flight zone over the bridge constructed across the Kerch Strait.